Pumpkin is a fantastic source of fiber, vitamin A and potassium so get cooking with these 8 scrumptious savory pumpkin recipes. 1. Pumpkin Macaroni & Cheese America’s favorite comfort food gets a pumpkin remix. This version adds Dijon mustard and garlic powder for a little extra kick. 2. 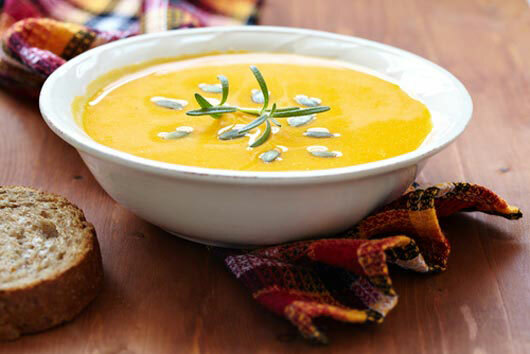 Ginger Pumpkin Soup Take the chill out of a brisk autumn day with this sweet and spicy soup with pear and sweet potatoes. It’s super healthy and so satisfying! 3. Savory Pumpkin Pizza We love pumpkin and we love pizza so this is a win-win. Instead of tomato sauce a delicious pumpkin puree mixture coats the crust. Top with arugula and grated Havarti cheese. 4. Pumpkin Chili You’ll never miss the meat in this veggie chili. 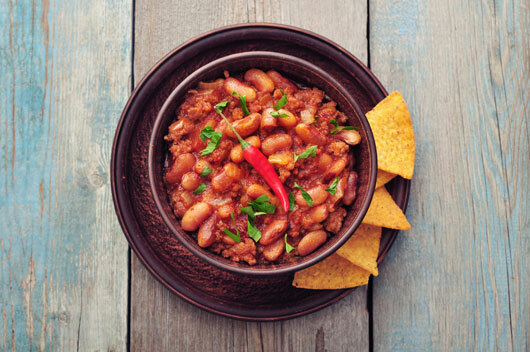 Chickpeas and black beans lend a healthy dose of protein and tons of flavor. 5. 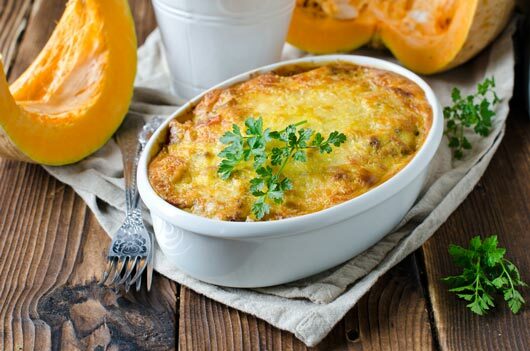 Dinner in a Pumpkin This is one of the easiest savory pumpkin recipes that you can easily tailor to suit any taste and it’s sure to be a family favorite. Imagine a hearty turkey and rice stew baked inside of a hollowed out pumpkin which becomes part of the dish as well. So fun! 6. 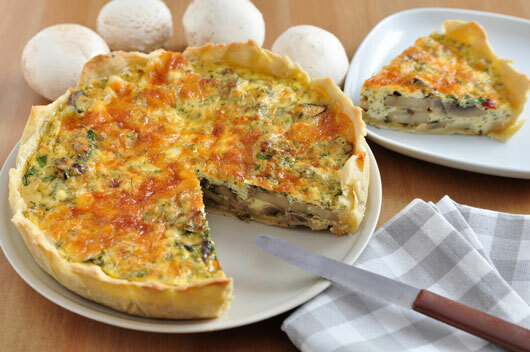 Roasted Pumpkin Quiche with Caramelized Onions, Gorgonzola & Sage This quiche is pure decadence that you can serve for breakfast, lunch or dinner. It’s got a light, flaky phyllo dough crust filled with pumpkin, gorgonzola and eggs. 7. Savory Pumpkin Bites with Green Chile Aioli It’s not a fall party without some pumpkin apps! These are crunchy, savory pumpkin cookies made with oats and walnuts and served with an awesome green chili aioli. 8. Savory Pumpkin Cornbread Waffles These crisp savory waffles are also breakfast, lunch or dinner fare. You can serve them with eggs and butter, maple syrup or as a side for soup or chili. Get a wide range of packing and moving companies at helloenquiry.in. We endeavour to furnish the best packers and movers companies in Ahmedabad at ease of Internet. Nice blog.. thanks for sharing a nice blog.. its very interesting and useful for me….please visit my website i assure you that it will benefit you..! !